At long last, we come to the final post in this series. As I promised in the previous post, I will be explaining about the supplements that have been critical to my recovery and stability in the aftermath of coming off all my medications and living med-free long term. So lets begin. 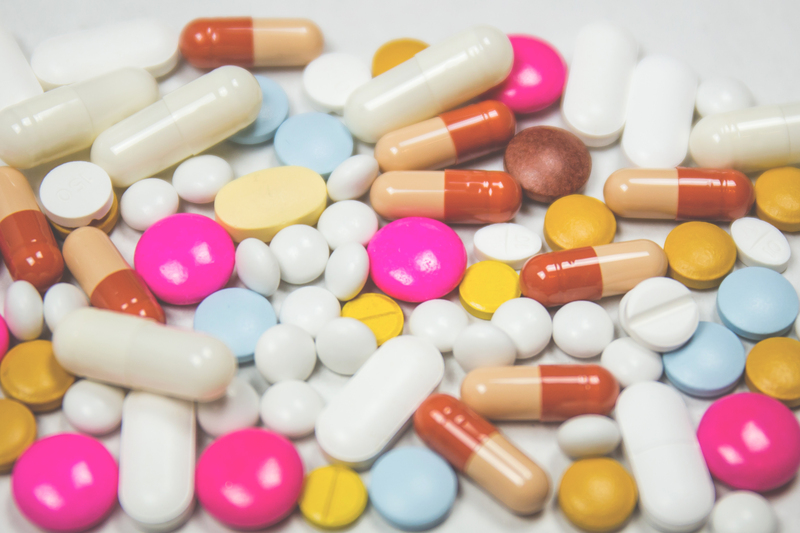 If you’ve followed the previous posts in this series, then you already know why I decided to ween off my medications, as well as the pretty major pitfalls I encountered doing so (if you haven’t read them, please do check them out! You can find Part 1 here.) If you had asked me 5 years ago whether it was possible for someone with Type 1 Bipolar Disorder to live a happy, stable life without any pharmaceutical medications, I’d have told you a very emphatic “No way!” I’d have said you’d be crazy to even try it—after all, the life threatening dangers of psychotic mania and suicidal depression are all too real. And yet, as I write this post, I have passed the 1 year mark of living a completely medication free existence. How is this possible? For the record, I’m in no way affiliated with the company I’m about to point you toward. I’m not getting any perks for promoting them. Their products have just worked so incredibly well for me that I can’t not point them out to other people to try. The company is called Truehope. As a side note, I have to share a funny detail with you all. A few years back, before I started this blog, and before I had even the slightest notion I would ever be coming off my meds, I had the idea come to me in prayer that I ought to write a book about journeying through the spiritual life with mental illness, and entitle it Finding Hope. The title came to me so clearly and emphatically that I wrote it down at the front of my journal and kept it there. While I haven’t dismissed the idea of writing a book, I later decided to start this blog first as a more immediately doable option. 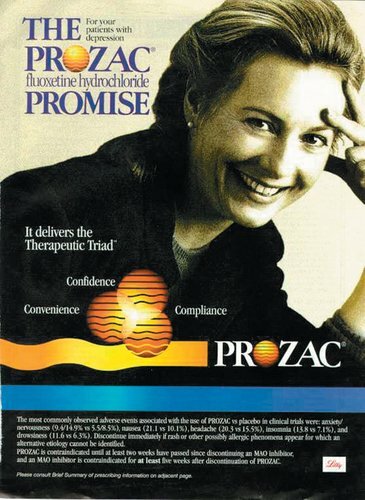 I just have to say I find it ironic that years in advance I was prompted to “find hope,” only to discover the eventual solution to my mental illness problems in a company called Truehope. Ten children were left motherless the cold January day that Debbie took her own life. She had been suffering the pains of Bipolar Affective Disorder (BAD) for years and finally succumbed to the dark and irrational side of the disease. Somehow, out of the sheer agony and crushing pain of her loss came a determination for Anthony her husband. He began a prayerful and desperate search to find hope and health for their children who were also ravaged by the disease. At the time of her death, two of Debbie’s children had also been diagnosed with BAD. As a desperate father, and after exhausting all known medical routes, Anthony sought the help of a friend. Together these two men established a program of nutritional supplementation that would eventually lead to the recovery of Anthony’s children and the formation of The Synergy Group of Canada Inc. – a non medical research group dedicated to researching and overcoming the disorders of the central nervous system. Debbie’s tragic death had initiated that series of events which would change the grim picture of mental illness forever. Joseph Stephan exhibited signs of attention deficit disorder as a child. By the time he entered puberty, the symptoms were escalating into panic attacks, delusions and violent fits of rage. Ultimately, he was diagnosed with BAD shortly after Debbie’s death. Joseph was first treated with lithium, an element used to make batteries, which caused severe side effects. When he refused to take it, he lapsed into severe mania and panic within a couple of days. Then, on January 20, 1996, Joseph started using the nutritional supplementation program created by his father. The results were dramatic and immediate. Within four days he was off the lithium; within two weeks, his mood and emotional control improved immensely. In the years since, he has maintained his well being and has had no recurring symptoms of BAD. Autumn Stringam’s recovery is, if anything, more dramatic than her brother’s. At 12, she showed signs of suffering from Bipolar Disorder, a condition which deteriorated throughout her teens. She married Dana, had a child at 20, and was subsequently diagnosed with Bipolar Affective Disorder I with rapid cycles; a daily seesaw of mania and depression. Those eventually gave way to regular visual and aural hallucinations and the belief her husband and other family members were conspiring to kill her. These visions often led her to act out violently. Following a particularly terrifying episode, Autumn was admitted to a psychiatric ward. After many adjustments to her medications, she was released a few weeks later. Drugged and with her cognition impaired, she “broke through” her medications frequently and was extremely unstable. After threatening suicide, she was again hospitalized. Upon release, she was taking a pharmaceutical cocktail of Haldol, Rivotril, Ativan, Epival and Cogentin, a combination that failed to control her psychosis. She continued to rapid cycle. Told Autumn would require round-the-clock adult supervision, Dana took her to her father to begin the alternative treatment, which had helped Joseph. 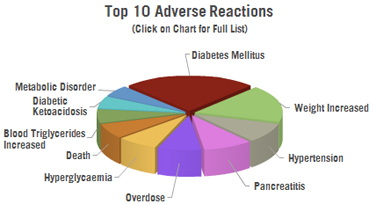 Within four days she was forced to eliminate Haldol and Rivotril because of the drastically increasing side effects. 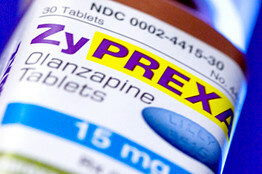 Ativan was no longer required when hallucinations ceased. After one week on the program, she returned home to her husband. Less than a month later, she reduced, then eliminated, the mood stabilizer Epival. Her only “medication” now was the nutrient supplement which would become Empowerplus. Autumn’s recovery exceeded the expectations of her psychiatrist, doctor and family. The woman who was expected to remain a prisoner of BAD, confined by a medley of psychotropic drugs and pursued by thoughts of suicide for the rest of her life, continues to be healthy and stable to this day. But perhaps even more compelling is how Autumn, once counseled to be sterilized after the birth of her son, gave birth in 1999 to a happy, healthy daughter, and again in 2001 and 2003 to two more healthy daughters! “My life is a miracle and an example for all who suffer,” she says now. “There is hope, healing and ultimately, health for all who seek it; there is an alternative to despair.” Autumn spends her time raising her four wonderful children, remains happily married to Dana, her beloved husband and volunteers for her church and community. Hers is a parable of hope to those who follow her footsteps. Click here to read more about Autumn’s story, as well as video interviews, magazine articles and especially Autumn,s book, “A Promise of Hope”! Anthony Stephan, in reflecting on the marvelous recovery of his children, said; “Truly God has answered my pleadings and intense prayers with a great blessing.” Hundreds of participants have borne that same witness and acknowledged the hand of God in bringing restoration to their life or that of a loved one. Hence, we have named this web site “TRUEHOPE” because we believe that true hope can only be found in the healing sustenance that God has provided for us. No man or company or science can ever replicate or replace that which our Creator has provided for us. In seeking to treat the symptom, we have all ignored the Source. My mother (a pharmacist) had been pointed in the direction of this company back in 2017, however since I didn’t seem to be having any major problems at that time, she didn’t bother looking into it. After my psycho-manic episode and hospitalization in early 2018, she began searching for solutions for me, since despite having succeeded in coming off all my meds, I was far from stable and only just barely getting through my daily life. She found Truehope again in the spring and got in touch with the branch of the company which operates in southern Alberta. The lady she spoke with, Teresa, has since kept in regular contact with us. She was able to give mom very helpful advice and reassurance. They sent us a number of supplements, most importantly the EMPowerplus Advanced micronutrient formula. I noticed immediate, dramatic results within a day or two of starting the EMPowerplus supplement. Previously, I’d been dealing with high levels of anxiety and panic attacks (the result of my ongoing mania and some mild PTSD from the trauma surrounding my hospitalization), not to mention agitation and racing thoughts. 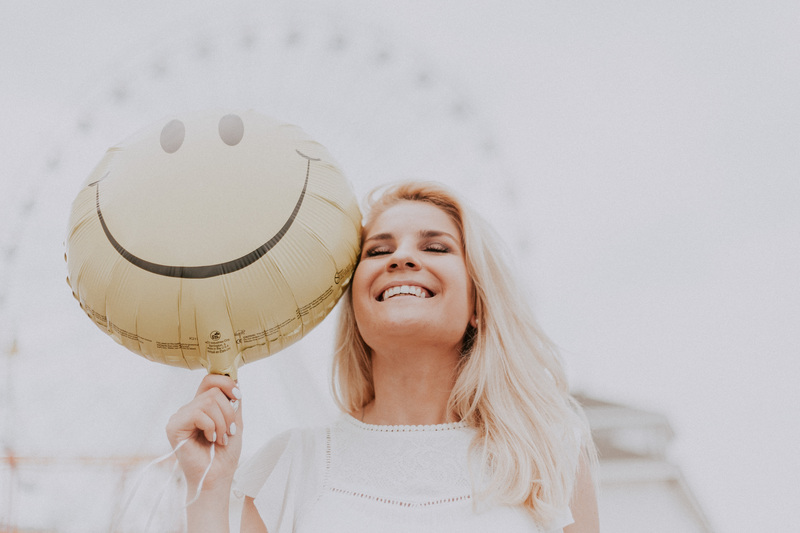 The EMPowerplus completely halted the anxiety and panic attacks, reduced my agitation and slowed my thoughts to something approaching normalcy. This is not to say it made me groggy–I felt none of the fatigue, drowsiness or befuddlement that I was used to living with when taking antipsychotic medication. I was simply beginning to feel normal again. I first began taking the supplements in April. By May, the mania had dissipated almost completely, leaving me with only mild hypomania. Then, as I mentioned, following my exam, I crashed into depression. From my understanding of it, this supplement is more effective for treating mania than depression, but it helps with depression too. However, my body needed to go through a healing process after being on various psychiatric med combinations for close to 6 years. Teresa stayed in touch with me, suggesting supplement tweaks, and promising me hope that yes, the depressive episode would end and I would be stable in the future. To be honest, I didn’t believe her. But I kept on taking the supplements because there was no way I would ever go back on pharmaceutical medications again. And slowly, the depression eased. The “greyness” lingered, the sense of anhedonia and lack of any creative drive, clung on for months. Then suddenly, in December 2018, it began to lift. My creative drive began to slowly come back to life. My sense of joy and pleasure at life returned. And by January, 2019, I felt completely back to normal. We’re now partway into March. My stability has remained rock solid in a way it never did when I was on psych meds. The few times I’ve thought maybe I was getting more energetic, and my old fears about mania reared their head, I simply increased the dose of my supplement and added in some Choline for a day or two, and the anxiety and hints of hypomania vanish without a trace. It’s so much more effective than my old medications that it makes the thought of them laughable. Teresa told me that as long as I’m on these supplements, I won’t ever have a relapse of mania. I didn’t believe her initially, but I do now. I’m back to a place where I don’t even think about my disorder much anymore. I’m still careful with my sleep schedule and I take my supplements consistently. But I’ve stopped worrying about having episodes. Despite having experienced several major former triggers (various stressful, emotionally difficult situations that would have formerly sent me swinging up or down with a certainty) I’ve remained completely stable. Lastly, did I mention there are no unpleasant side effects with any of these supplements? None. Zero. In fact, I’ve noticed a number of positive side effects: my hair is way healthier, I don’t feel tired, and I find stress way easier to manage than I ever have before. I only wish I could have found these supplements before I started coming off my medications because they would have made the whole process much easier and I probably wouldn’t have ended up hospitalized at the end of it for mania. If you or a loved one is on any psychiatric medications, I encourage you to check out the Truehope website for their much healthier alternatives. They don’t just specialize with Bipolar Disorder. They also work with ADHD, Anxiety, Autism, Depression, Fatigue and Stress related problems. I’ve heard they also help people with schizophrenia, even though it’s not listed on their website specifically. At the very least, it can’t hurt you to learn more about the alternatives that are out there. So back at the beginning of May I posted about my decision to start weening off of my medications. I’m happy to say I’ve been completely off of my antidepressant bupropion (better known as Wellbutrin) since August 15th. All that’s left is to start slowing coming off my mood stabilizer lamotrigine (better known as Lamictal). I’d intended to write several posts throughout the summer commenting on my progress coming off the antidepressant, but things didn’t go quite the way I’d planned them out. In fact, they still aren’t. My plan for the summer was that I would come off of my antidepressant, experience some possibly moderate to severe depressive symptoms throughout the process and get through them with God’s grace, and then be back to normal by the time the semester started in September. This lovely plan of mine should (rightly) provoke incredulous laughter from my fellow bipolar sufferers. Really? You planned out exactly what sort of episodes you would have, and for how long, and expected the universe to cooperate with that? Well, it never hurts to think positively, right? Although, I was actually thinking rather negatively since I expected the summer to be hellish. In fact, it wasn’t. Coming off of bupropion was far, far easier than I expected. The worst I experienced was a week or two here and there of mild-to-moderate depression. Nothing more. (I tapered quite slowly, mind you, especially towards the end.) It was almost a let down after how hard I’d worked to brace myself for the worst. But of course, when my plans don’t work out, it’s usually a complete and total bomb on every side. This is no exception. The rest of my plan was to hit the semester running and make my way through it relatively symptom free as I came off my mood stabilizer (which both I and my mother assumed would be easy peasy compared to the antidepressant). Yeah, no, that’s not quite the way it’s working out. It seems that lamotrigine is a much harder drug for me to come off of than bupropion was (for whatever reason). Granted, I almost always have some symptoms in the fall. Season changes are a trigger for me. But I’d assumed from everything I’d heard that I could come off of this drug without any trouble over the course of a couple weeks. In fact, my psychiatrist had said back in April that I could stop it cold-turkey without any problems (and that at the same time I could stop my antidepressant cold turkey. Needless to say, I didn’t listen to her). So I decided to drop from 250mg right down to 200mg. Well. That didn’t go over well. Much to my surprise, I almost couldn’t get out of bed the next morning. So I decided to bump back up to 225mg. Ever since that drop I’ve been experiencing mixed episode symptoms to a greater or lesser degree. They were quite dramatic in the week following the drop, and then eased off since then and have been fluctuating between hardly there or unpleasantly intense, depending on how much sleep I get. I’m fairly certain much of what I’m experiencing now is due to the season change and my body adjusting to my new sleep schedule. But the symptoms I experienced in the week after my initial drop were far more severe than any of the withdrawal effects I experienced from the antidepressant. Maybe its a coincidence and I would have experienced those symptoms if I hadn’t changed my meds. Its possible, but I’m certainly not going to count on that. I’ll be tapering this drug much slower than my last one, and have resigned myself to a rougher semester than I’ve had for a while. I’m not going to lie. My initial response to God about this unplanned development was a whiny one. Why couldn’t I have just gotten all of the really difficult symptoms out of the way in the summer? I could have afforded to be incapacitated then! I’d been prepared for that. I’d been all ready and eager to shoulder that cross. I hadn’t signed on for this cross. The cross of wading through my university courses while battling symptoms. That hadn’t been part of my plan! The response I received was quite simple: crosses aren’t something we get to choose. Jesus didn’t go to his father with a plan all worked out about which cross he was ready to carry. He took what his father gave him— and it certainly wasn’t a cross he wanted. He asked to have it taken away if possible, but he also bowed to his father’s will. And his father gave him all of the grace necessary to bear it. He sent an angel to him to strengthen him in his Agony, sent Simon of Cyrene to help him carry the cross, and sent both his mother and Veronica to encourage him on the road. He does no less for us, and he also expects no less. He may not let us choose our cross, but he will always, without fail, give us the grace necessary to bear it, so long as we go to him for our strength and don’t try to do it all by ourselves. This whole experience has also served as a gentle reminder that I need to stop making life plans and assuming they will work the way I expect, even if I think I’ve made them with him in mind. Really, you’d think I’d have figured that out by now. Crosses serve a purpose, even if we can’t see it in the moment.